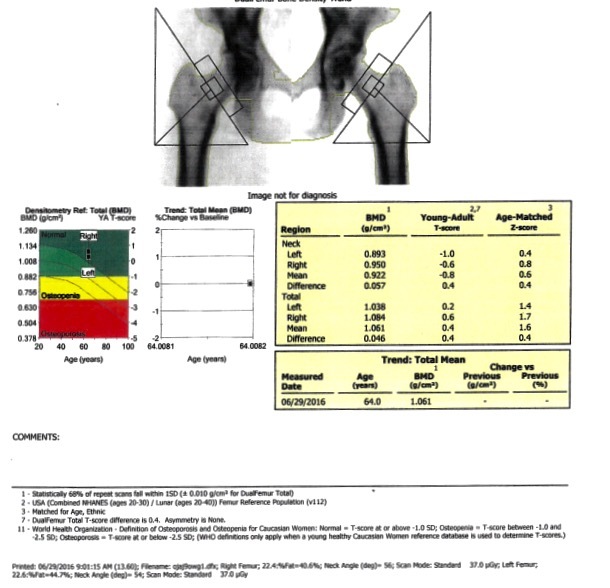 DEXA stands for “Dual Energy X-ray Absorptiometry.” It is the most widely used technique for measuring bone mineral density (BMD) and diagnosing the presence of osteoporosis. X-ray beams of two differing energies are passed through the spine and hips, and a computer analyzes the difference in absorption of the X-rays to determine the BMD. We examine spine and hips because these are the areas that osteoporosis affects first. The DEXA test result is reported as a “T-score” – which compares a patient’s bone mineral density to that of a healthy young person. The World Health Organization defines Osteoporosis as abnormally low bone mineral density (BMD), with a T-score of –2.5 or less. This means that bone mineral density has dropped so much that the chance of a fracture, even with minimal trauma, is significantly increased. 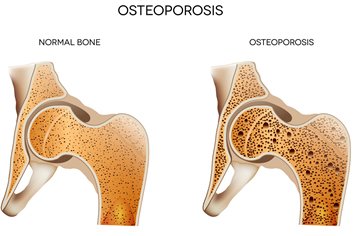 It is common to gradually lose bone strength after the age of 30, so osteoporosis is unfortunately very common in older individuals, especially women. Why is early detection of Osteoporosis so important? There are now several medications that can effectively treat osteoporosis and reduce the chance of a debilitating fracture. The likelihood of osteoporosis occurring in the future can be predicted by noting the presence of a lower-than-average bone mineral density, a condition called “Osteopenia”. By beginning early treatment, osteoporosis can usually be prevented. Do not take any calcium or calcium product, such as Tums, for 24 hours prior to the exam. Dress metal-free (without zippers) from the waist down. The exam takes about 15 minutes, but you should expect to be here for about 30 minutes in total. You will be asked to lie still on a comfortable table while low-dose X-rays are used to analyze the mineral content of both your spine and hip bones. The amount of X-ray used is extremely small – equivalent to about 1/10 the dose received from a chest X-ray. 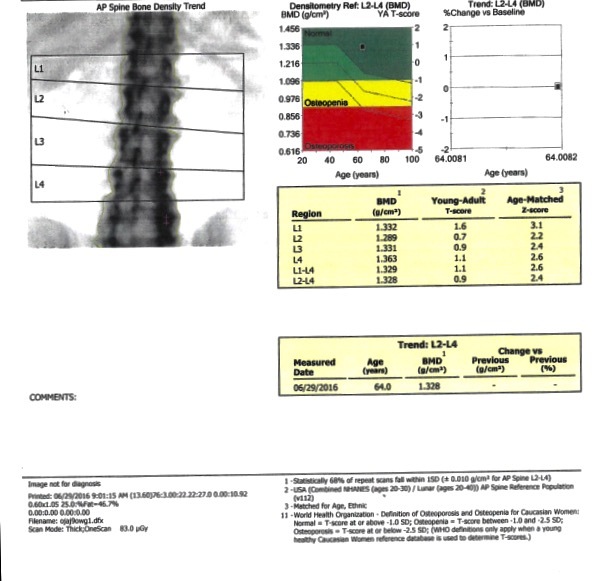 Vertebral Assessment, called VA, is performed using state-of-the-art bone density equipment now available at River Radiology. VA allows the simultaneous diagnosis of existing vertebral fractures and bone mineral density in a single, brief exam session. The procedure exposes the patient to only about 1/100th of the radiation dose of a conventional x-ray. The analyzed report of the combined bone density and VA test results better help identify patients at risk for osteoporosis and more accurately determine their individual fracture risk. In most cases, reports are provided within two business days.